Join the largest community of startups, developers, and data scientists making the energy and resources industry more efficient and sustainable. From geology to processing and operations, get your hands on real data so that you can build solutions that make an impact. Work with other top developers and data scientists. Collaborate with subject matter experts and leaders from industry. Hundreds of thousands of dollars in prizes have been earned by the community already, but that's just the beginning. You keep the intellectual property in solutions you develop. If you want to take them further, we'll connect you with paying customers and industry insiders. Mentors and advisers in the community can help bring your product to market. Join the largest community of developers, data scientists, and startups winning cash and customers in the energy and resources industry. Welcome to the largest community of data scientists, developers, and startups solving the challenges of the energy and natural resources industry. We have the digital skills and capability you need to transform your organisation. We help you solve technical challenges, develop internal capability, and identify disruptive threats and opportunities. Solutions from the Unearthed community are making significant impact on the bottom lines of our industry partners. Find out how Newcrest is able to access digital talent on demand. "Technology and the usefulness of data is increasing at a faster pace than any one company can keep up with. 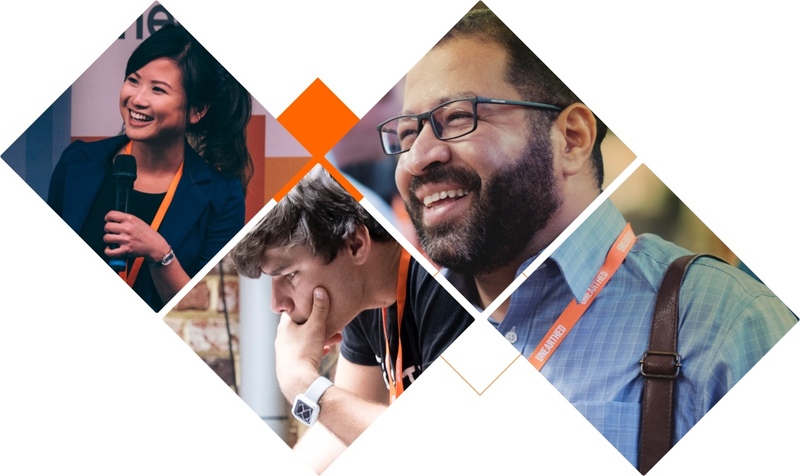 Hackathons, like our partnership with Unearthed, create a vital link connecting Origin Energy with new ideas, technologies, opportunities and ultimately innovation – helping us deliver energy to our customers and communities." "Anglo American is proud to collaborate with Unearthed and explore innovative approaches to Anglo American’s real mining challenges." "Working with Unearthed is a great opportunity to connect with some of the best minds in the technology and data science space." "The presentations were amazing. We had some young people that had very limited information about the industry, yet they managed to create some great solutions. I couldn’t be more thrilled about the results of this hackathon." "The Hydro Saver online challenge has just ended and was a resounding success. We had 25 teams from over 10 countries competing to devise a method capable of predicting tailing underflow density three hours ahead of time. Newcrest is very proud to be leading the world in leveraging crowd sourcing through this innovative platform, solving highly complex business problems for the mining industry." "We recognise that people with no mining or resources experience can bring valuable insights to solving challenges the industry faces. We’re excited to partner with Unearthed.... in pursuit of more efficient, effective and safer ways to work." Access to customers. Seed funding. Best mentors in industry. Win cash & prizes, test your skills, make a positive impact.